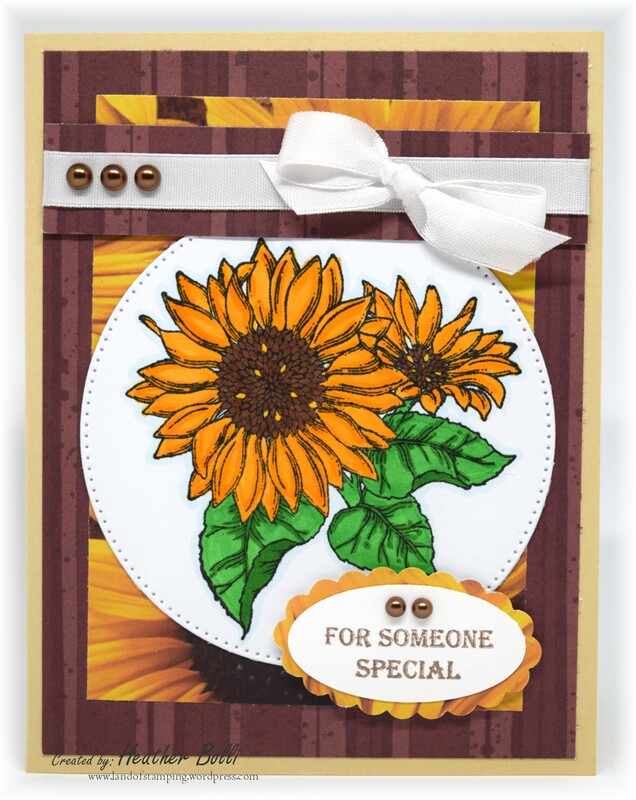 Can you believe my last card kit post was back in February?? I was on such a roll! But, I am back rolling away and have actually – gasp! – finished my 2017 kits and just need to get them all posted! Today, tomorrow, the next day and that will be DONE for the 2017 kits….good thing because the 2018 kits have started arriving. Today’s kit is from Cheryl. 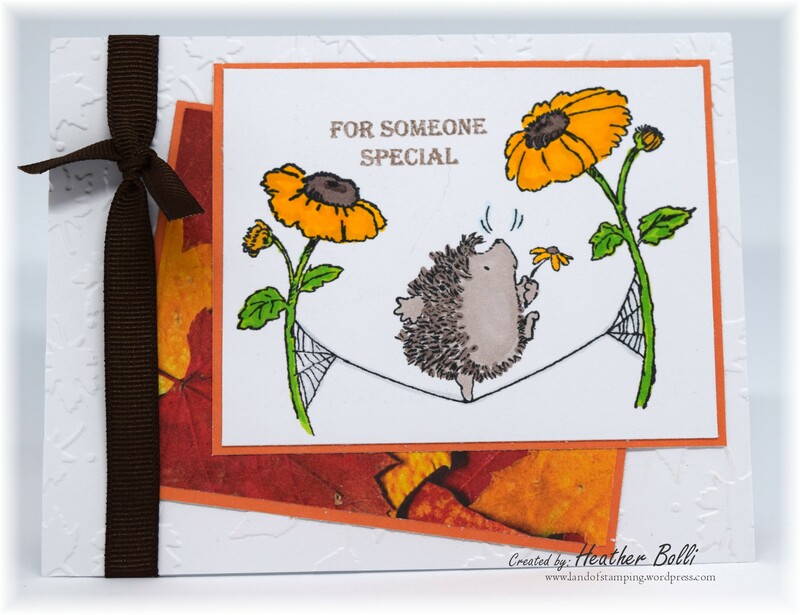 She always sends very thoughtful kits, with plenty of embellishments! I had fun playing with the variety of images she sent. Are these daisies or dandelions? I don’t know, but I like them! I can’t resist Penny Black! 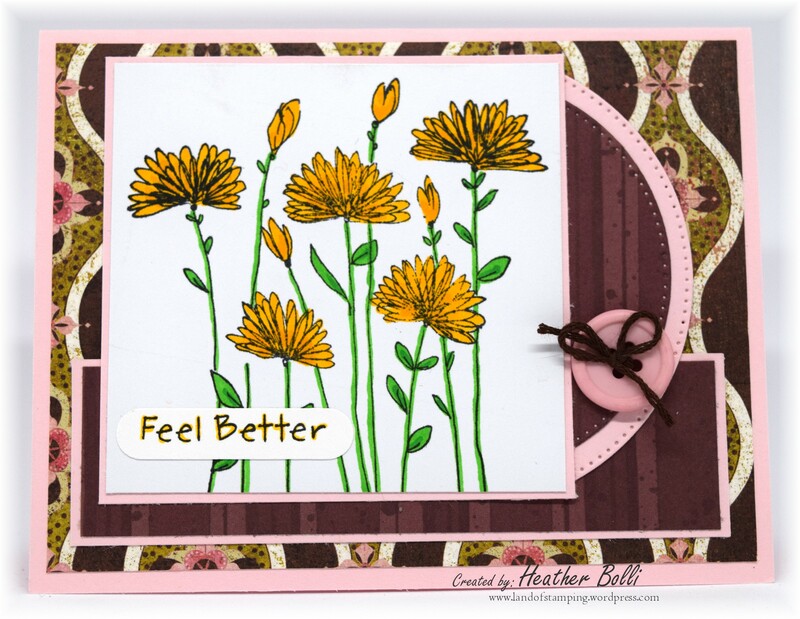 These adorable doodlebug pop up leaves were included in the kit. 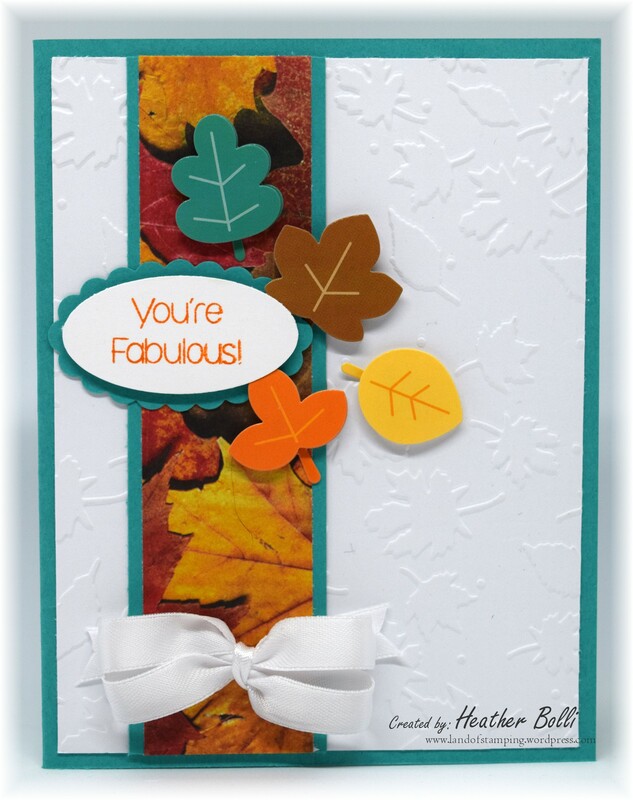 I loved the colors in this DSP too, so paired it off with the Bermuda Bay paper (which also matches that one leave) to create this fun card. Thank you Cheryl! What a fun kit!